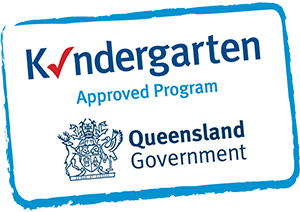 We are a community based childcare centre in Rockhampton with decades of experience in early childhood education. Our program is flexible to meet the needs and interests of the children and to develop skills, abilities and attitudes which lay the foundations for learning. We want you to look often into our busy, happy noisy, creative rooms and see your child at play. We want you to realise the validity of play and the importance of what your child is learning. Parents and Educators together can help your child develop to their full potential. We have an open door policy at our childcare centre and we invite you to approach the educators to discuss your child’s development. The Early Years Learning Framework describes the principles, practice and outcomes essential to support and enhance young children’s learning, from birth to five years of age, as well as their transition to school. It also recognises the importance of communication & language (including early literacy and numeracy) and social & emotional development. The Framework also has a strong emphasis on play-based learning, as play is the best vehicle for young children’s learning, providing the most appropriate stimulus for brain development. Elfin House is a non for profit incorporated body community based early learning childcare centre based in Rockhampton. The centre has been in operation since 1978. Each weekday we provide care for up to 70 children aged between 12 weeks and 5 years of age. The centre delivers a play based learning program which provides a context for learning through which children organise & make sense of their social world, as they actively engage with their educators & peers within the environment. Elfin House delivers a kindergarten program to children 5 days a week. This is delivered by a 4 year trained Early Childhood Teacher. A qualified music teacher attends Elfin House on Wednesday to provide an enriched music program. Elfin House is a not for profit childcare centre run by parents. The centre was built in 1977 as a purpose-built child care centre and commenced operating in 1978 as a council-run child care centre, being one of the first child care centres to operate in Rockhampton. By 1999, the centre commenced operating as parent-run/not for profit, and a lot of our success is owed to the help of our dedicated community and parents. Being not-for-profit, we return funds back into the centre by providing maintenance to the centre or equipment and facilities for the children. We support local businesses by purchasing their goods and services or advertising their companies at the centre. Our child care team are highly qualified and experienced professionals and include 2 University qualified Early Childhood Teachers. Our educators are dedicated, enthusiastic and caring and work collaboratively with our Nominated Supervisor and Educational Leader to ensure that each child receives the highest quality education and care. They take their role as educators very seriously as they recognise the responsibility of nurturing children through their formative years.